Bernard Foley wants clarity over Rugby Australia’s plans to rest players of national interest in 2019. 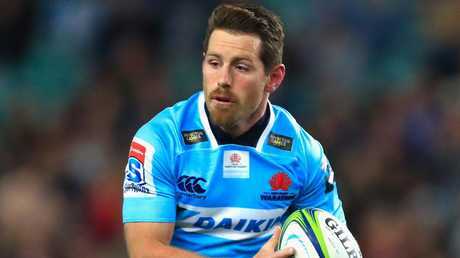 BERNARD Foley wants clarity around plans to rest him and fellow Wallabies from Super Rugby games ahead of this year's World Cup. It is understood Rugby Australia has begun discussions with coaches of the four franchises about resting their Wallaby stars for multiple games this season. The move, designed to keep the Wallabies fresh for September's showpiece in Japan, mirrors a policy that has worked effectively for many years for two-time defending world champions New Zealand. 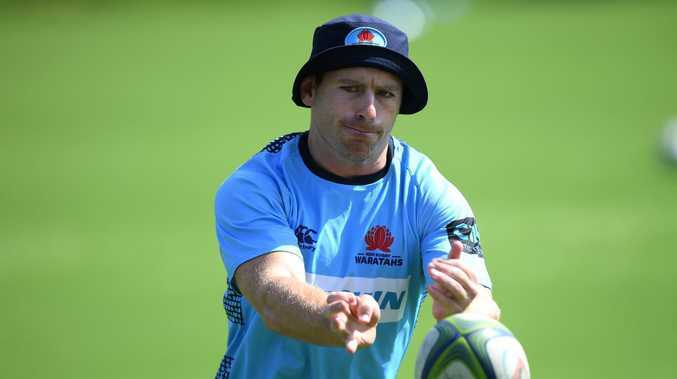 But just who will be rested and when remains a mystery to NSW Waratahs and Australian No.10 Foley two weeks out from the season opener. "Hopefully, there is a plan and we're not just playing it by ear," Foley said. "There needs to be a balance around the amount of football we play and getting the right amount of rest. "You've seen the All Blacks do it well, but it's going to be tricky (to balance) and we need a plan to make sure both campaigns (Super Rugby and World Cup) are maximised." Foley joined his Wallabies teammates in a January pre-season camp which he said focused on fitness and bonding ahead of the World Cup. Newly appointed director of rugby Scott Johnson has been added to the set-up alongside coach Michael Cheika after the Wallabies had slipped last year to sixth in the world. But Foley said there was no talk of the new structure although assistant coach Stephen Larkham did not attend the camp and was yesterday given his marching orders. Fellow assistant coaches Nathan Grey, Simon Raiwalui and Mick Byrne have so far retained their posts. "That might be finalised once Scott is finished with Scotland (as director of rugby in March)," Foley said of the coaching set-up. "We won't get much time together as a group after the Super Rugby season, so the camp was a valuable chance to get together, do some hard work and talk about what it's going to take (to win in Japan). "We haven't spoken about it but it's definitely the goal; we don't want honourable defeats." Foley was rested from the trial loss to the Highlanders with the core of the Waratahs' other Australian representatives. He is unlikely to play in their final pre-season hit-out on Thursday against the Brumbies in Goulburn.